All the ingredients assembled. 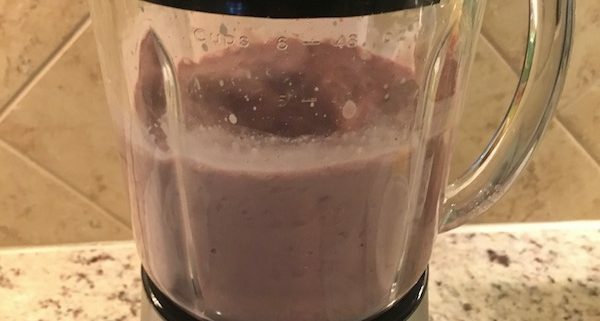 You’ll need a blender, crushed ice, granola, greek yogurt, a fruit base -we used mango and blackberries and a splash of juice. Two Tablespoons of Granola – Trader Joe’s has a variety that actually has protein, good choice. 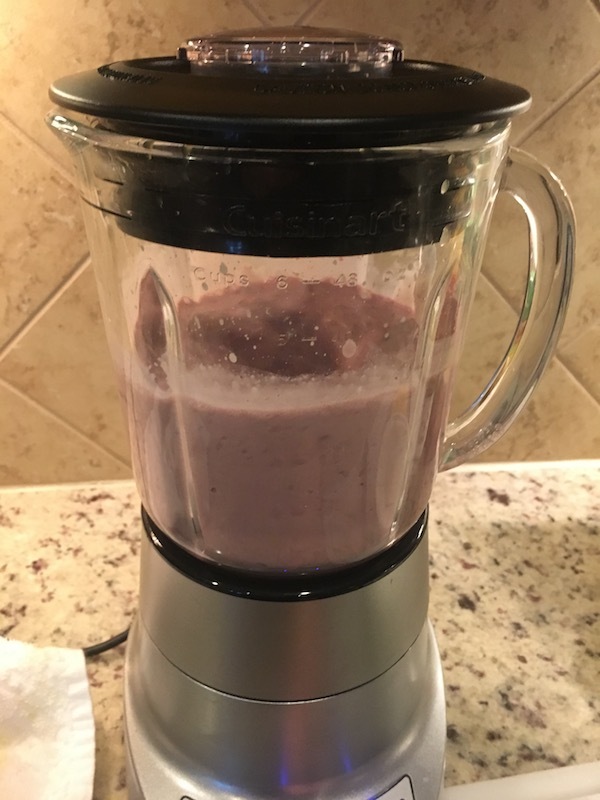 Blend it up – making sure ice is at the bottom, yogurt, granola and fruit in the middle, topped with juice last. Fill the bottom of the blender with the crushed ice. Slice the mango. 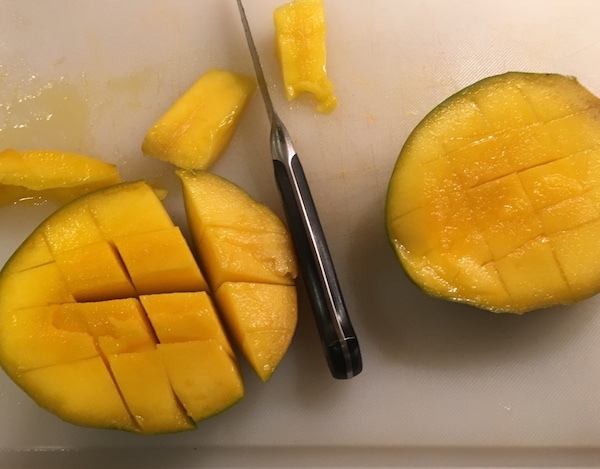 There is a best practice here: Stand the mango on end and with a small very sharp knife, slice down the length of the mango adjacent to the pit, on both sides. Then slice off the sides. I then eat anything left on the pit – YUM! Next, take the mango halves and score them lengthwise and crosswise with the knife. Fold back the mango so the little cubes of mango stand away from the skin. 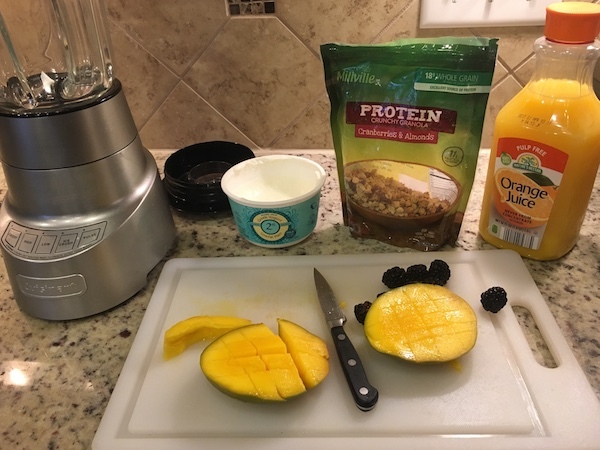 With the knife simply cut off the cubes into your blender. Blend on high until everything is blended through. You don’t want any lumps! 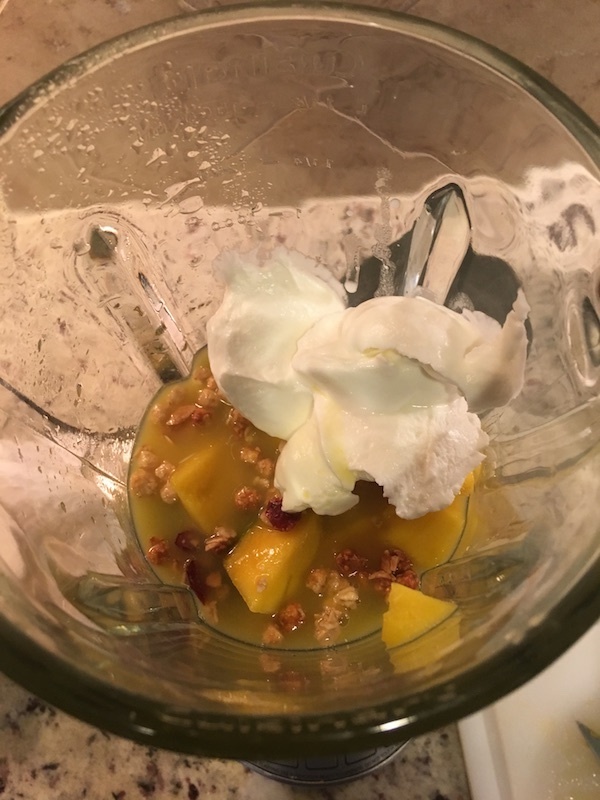 Blend it up for a minute to eliminate lumps of fruit or granola and so the the ice smoothes out. Without an actual way to measure these calories, I estimate that the total is about 300-400 calories based on measurements given on the yogurt and granola packaging. 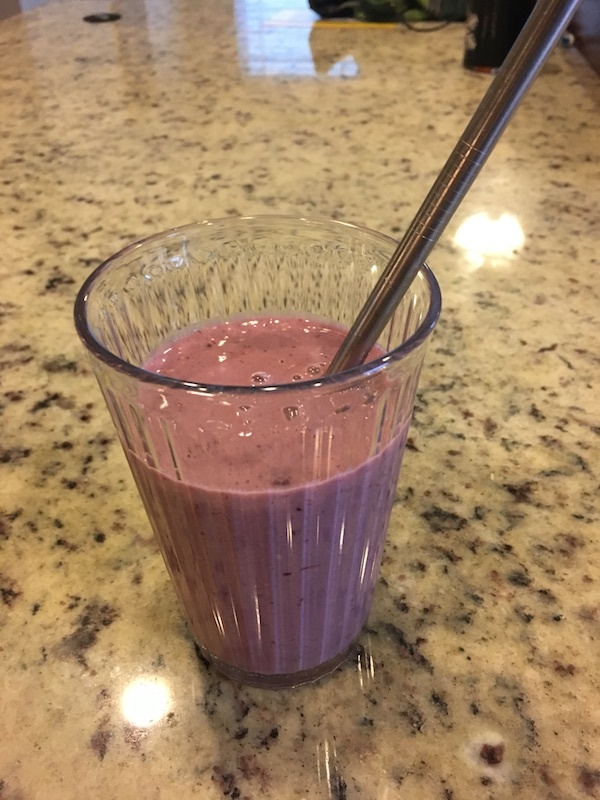 Great variations include bananas swapped for the mango, strawberries for the blackberries. Flavored yogurts, chia seeds or other grains that you like.